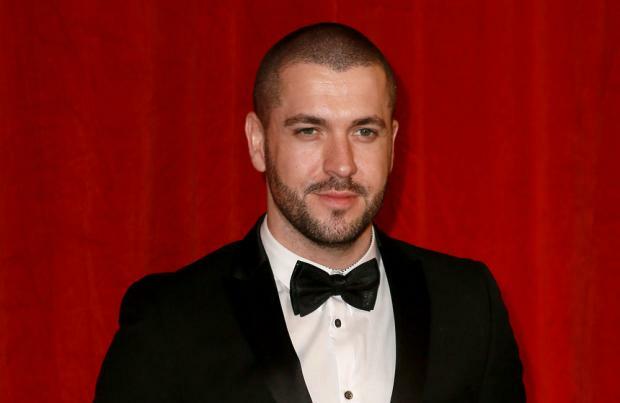 Shayne Ward has been watching 'Women Who Kill' in preparation for his upcoming 'Coronation Street' storyline. The 32-year-old singer-turned-actor's alter ego, Aidan Connor, is set to be the subject of a revenge storyline when his fiancee Eva Price (Catherine Tyldesley) discovers he has been cheating on her with Maria Connor (Samia Longchambon). Though Shayne insists he has no idea what's in store for Aidan, he quipped he's been watching documentaries about violent women in order to get a taste of how far some "scorned" people will go. Asked what Eva will do, he joked: "Put it this way, I know a lot of women who've been scorned! Not through any personal experience, may I add. "My mum watches these programmes called Women Who Kill, so I've been watching that in preparation! God help Aidan over the next few months, that's all I can say..."
But Shayne has some ideas of what Eva could do to really upset his character. He told RadioTimes.com: "Doing something to sabotage the business would be the worst thing. "Aidan wants to build this enterprise and is desperate to impress his dad and for him to see Aidan as the successor of Underworld. Eva's not as ditzy as people think..."
Though the former 'X Factor' winner initially felt Aidan was stuck in a genuine dilemma as to who he wanted to be with, he no longer thinks the factory boss' actions are defensible. He said: "At first I was telling people how he was genuinely torn between two women and was in love with the pair of them - now he's just being a dog! It's impossible to feel sorry for him. "I feel sorry for both girls, no one deserves to be treated like this. Maria's not entirely innocent as she instigated the affair second time around, but Aidan could've said no couldn't he? "He's messed Maria around, saying he wanted to be with her then going back to Eva, then starting the affair again, to discovering Eva's pregnancy this week and feeling he has to stay with her. All hell breaks loose when Maria finds out about the baby, and that kind of shuts the door on Aidan and Maria. Or does it...?"